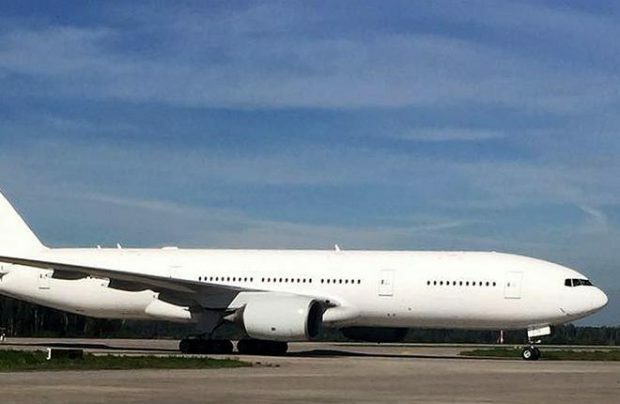 Russia’s VIM-Avia took delivery of its fourth wide-body Boeing 777 at Domodedovo airport in Moscow on Friday, according to the carrier. The aircraft’s tail number and its configuration has not yet been disclosed. The last three aircraft of this type to join VIM-Avia’s fleet were Boeing 777-200ERs. The carrier announced in early August that one of its 777s was undergoing maintenance at Boeing Shanghai facility, at which time three of such aircraft were flying under VIM-Avia. It is currently unknown whether or not the newly-received aircraft came from Shanghai. VIM-Avia has managed to sharply increase its passenger numbers due to the airline’s recent acquisition of wide-body aircraft. The company has announced that it should soon receive its next aircraft, a narrow-body Boeing 737-500. VIM-Avia currently operates one aircraft of this type. In addition to the Boeing 777s and Boeing 737, the Moscow Domodedovo-based carrier operates one wide-body Boeing 767-300ER, six long-haul narrow-body Boeing 757s and four narrow-body Airbus A319s. In late August, the airline is expected to get a wide-body Airbus A330.